A grey, rainy day offers a great opportunity to get creative with your kids. You can get the crayons out of course, but you can also let our 3 craft ideas below inspire you. They will make you long for an indoor day! For little helpers, carving a pumpkin can be tricky. Luckily, there are plenty of other fun things you can do with a pumpkin! If you want to keep it simple, put the pumpkin on a table at kids height, bring out some paint, glitter, and brushes to set their Picasso-spirit free. For kids that are a little older and want a bit of a challenge, this blog on Parents.com shows some amazing pumpkin decoration ideas. 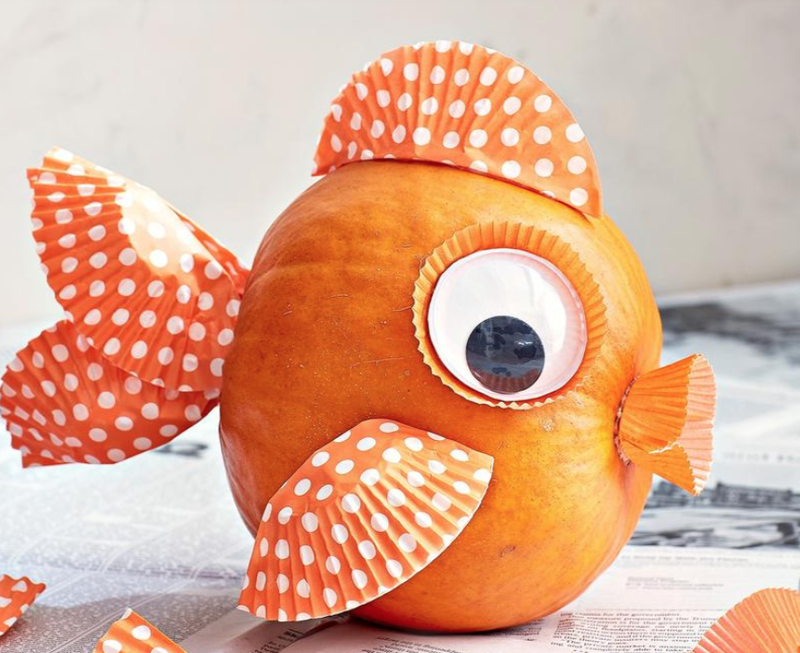 From super-hero to gold fish: a pumpkin can be so much more than a Jack-o'-lantern. 2. The perfect ‘model’ for a crafty fall day: clay! This craft project is perfect, because it requires that you first go outside and find the most beautiful leaves. Afterwards, with a cup of steaming hot chocolate, the craft fun can begin! To make the fox leaves, let the leaves dry completely, preferably in layers of paper with a heavy book on top. When they are dry, paint the leaves orange, then paint the sides white and finish with a black ‘snout’ in the middle. Stick on two googly eyes and that’s it! Of course, you can let your kid’s imagination run wild and make all kinds of different foxes or other animals. After they’re done, tie the leaves on a thick string for a nice foxy garland.